In the #FarillioFaves blog series, we share some of our favourite things with you – so that you can benefit from them too! This month, with our theme of Be Independent, we're sharing some of our top tools to help you be more savvy, social, and supported as you embark on your self-employment adventure! After all, being independent is so much easier when you've got the right tools to help you. A FCA-accredited business bank account that makes self-employed cash-flow problems a thing of the past! Trezeo is gaining a lot of interest from self-employed professionals who love the idea of smoothing out their income and getting the kinds of benefits employees would, but directly to themselves. It's a typical scenario in many self-employed worker's cash flow. And all this income yo-yoing means that many business owners just don't know how much money they'll have on a month-to-month basis. While it's certainly exciting – and a fantastic motivator! – to see how much you can generate each month, it can be something of a disadvantage when it comes to planning how and when you can sensibly spend your hard-earned cash, or even how and when you can sensibly take a hard-earned break! Saving up for things like holidays, mortgages and retirement is something many self-employed people just simply can't commit to doing. Even leasing items essential to the job can be difficult for the self-employed – necessities such as tools, vehicles or renting a building often require a steady income and strong credit rating. It's really not ideal for anyone... and what we love about Trezeo is that it not only recognises this, but it solves the problem in a pretty smart way. Trezeo is currently available in the GooglePlay and AppStore to drivers and riders in the gig economy, but will very quickly be opening up to other sectors. To express interest, join the Trezeo waitlist (trezeo.com) and they'll follow up in the coming weeks. If you're a driver or rider, email our gal alysia@trezeo.com and she'll give you a golden ticket to sign up. A 4,000-freelancer-strong network that support, collaborate, advise, and cheer each other on. 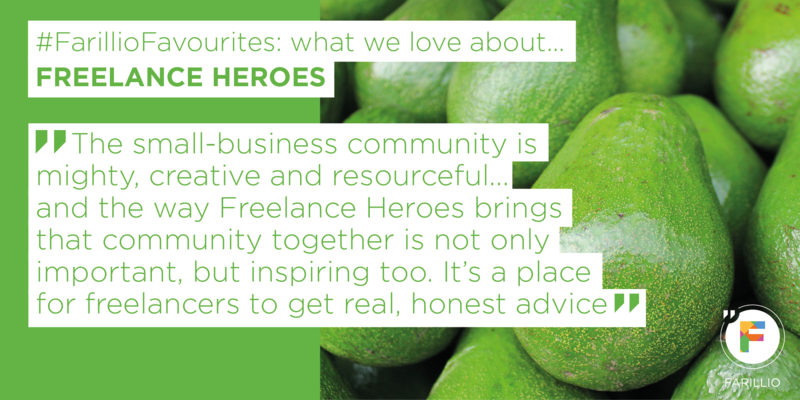 The small-business community is mighty, creative and resourceful...and the way Freelance Heroes brings that community together is not only important, but inspiring too. It's a place for freelancers to get real, honest advice about the aspects of freelancing they're going through by their peers who have already been through the same things. Not a place for selling – in fact, the Freelance Heroes website states: "The intention was to create a wider network of UK Freelancers where open and honest sharing would be encouraged and the spammy sales pitches would be left at the door." It enables freelancers of all points in their career to ask for advice and learn from others' experiences without the worry of being sold the answer...instead, everyone shares for free, and freely, with the intention of helping and empowering their peers rather than making a sale from them. With this also comes a lot of trust, respect and genuine connections within the freelance world...which is a perfect recipe for encouraging collaborations, referrals and recommendations between the freelance community. Freelancers also get a place in the spotlight thanks to the Featured Freelancers page, where members of Freelance Heroes can share more about themselves and what they do in the form of an interview and links to their website, social media, portfolios, etc. And let's talks about their Twitter account...@FHChat – a buzzing hub of conversation, engagement, encouragement and general support for the freelance community, interspersed with nuggets of wisdom from founder Ed Goodman and co-founder Annie Browne. Join them on social media over at: Facebook, Twitter, LinkedIn and Instagram. Oh, and check out the #FreelanceHeroes hashtag, too! On Thursday May 19th, (the 3rd anniversary of the group's formation! ), Freelance Heroes will be holding their annual Freelance Heroes Day event. Keep an eye on their website over the next while for more details! Representing the self-employed community to the government, they're the voice of the freelancers and self-employed business owners across the UK. Passionate about the importance of self-employment to the UK's economy (IPSE have reported that the self-employed contributed a whopping £271 bn to the economy in 2017! ), they continuously research and campaign to improve the way that the self-employed work. It's where the entire self-employed community are represented to the government. While the self-employed community is huge...the businesses that make up that community are often small. 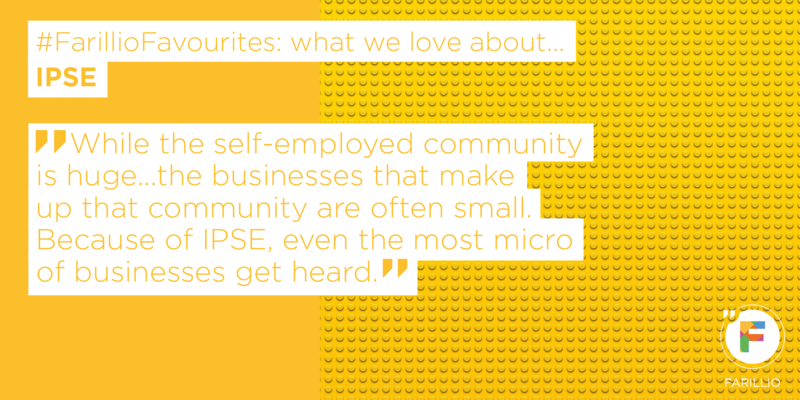 Because of IPSE, even the most micro of businesses get heard. Not only that, but it also provides resources, training, and networking opportunities to help self-employed workers navigate through their business journey. Aware of their members' needs to run their businesses efficiently and affordably, IPSE also team up with some of the best tool and service providers to offer their member's the things they need in a way they can afford. IPSE membership is available for limited companies and sole traders – each with the option of Standard or Plus membership. A handy checklist table shows you everything that you'll get with both types of membership – check it out here. It's a smart, digital workplace-pensions platform that's accredited by the Master Trust Assurance Framework (MAF). Pensions can be confusing to any new employer (psst.. there's a Farillio guide about this if you're trying to figure out how pensions work for employers). Even if you know that you need to auto-enroll your employees, how do you actually do it? That's where Smart comes in. 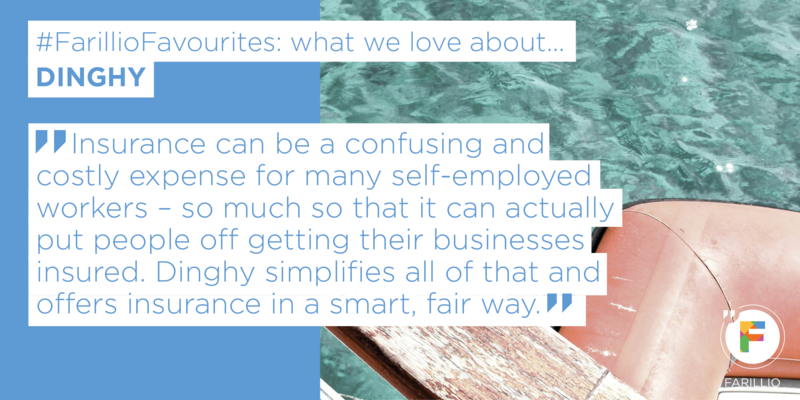 It recognises that employers are busy, juggling a number of different responsibilities in supporting their staff...and with the Smart pension, they make one of those priorities super simple. In fact, it's the UK's fastest way to auto-enroll your employees for their pension – and it enables you to assess, delegate, create, and even link in your professional advisor to ensure that your completely compliant with pension law. Oh, and it's free too...which is a bonus! Smart says that it only takes 4 simple steps to set up your workplace pension – you just simply sign up, share a little about you and your company, select your scheme start date, and away you go! An insurance provider for the self-employed that charges by the second...billing you for only what you use. If you've read our guide to the different types of insurance for small businesses – and, indeed, why small businesses need insurance in the first place – you'll know that there are quite a few to consider. Insurance can be a confusing and costly expense for many self-employed workers – so much so that it can actually put people off getting their businesses insured. Dinghy simplifies all of that. 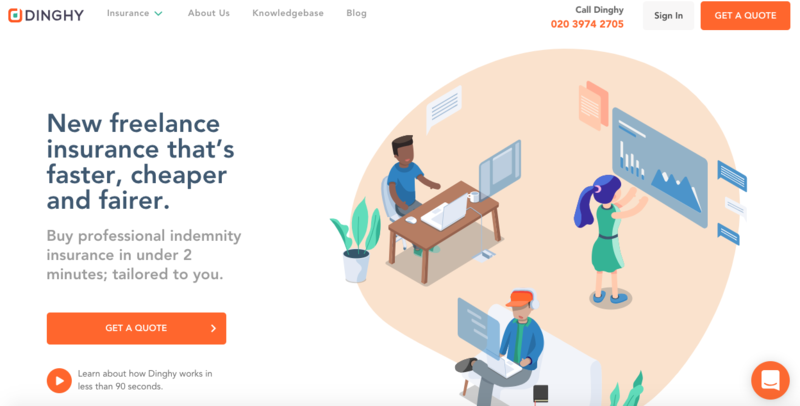 It gives you the ability to see what you need quickly (they boast that you can actually get personal indemnity cover within 2 minutes of landing on their website! ), cheaply (you won't find pesky admin fees or interest charge at Dinghy! ), and confidently (they're available 24/7!). What also makes them super special is that you can turn off your insurance cover on days when you're not working, and then you can turn it back on when you are... so you never need to pay for cover that you don’t actually need. Now, that's not just fair... it’s smart too. If getting insurance cover in just 2 minutes hasn't impressed you enough – Dinghy's quotes can be provided within a speedy 60 seconds! Start by telling them what type of freelance work you need insurance for and they'll take it from there. An online legal platform built to help SMES go far and be in control of their legals. Well, of course...we love everything about it. 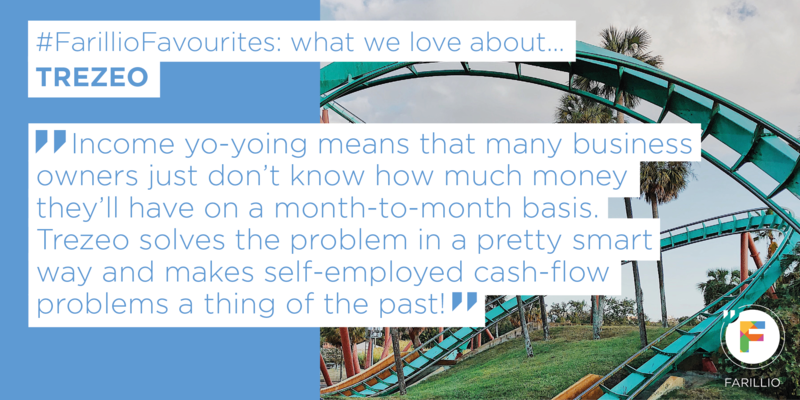 But, you know...one of the things we love most about Farillio is the way that others have shared their love for it and the way it's helping them navigate through their business journey. 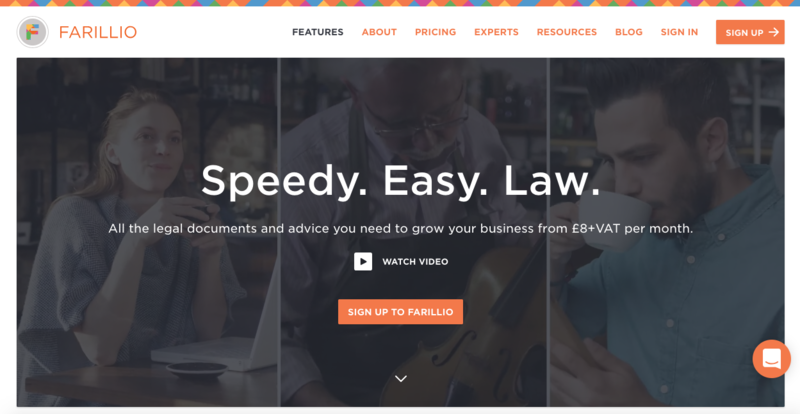 In fact, members of the small-business community have shared that, thanks to Farillio's speedy, easy and even fun approach to helping them with their legals, they're getting inspired and excited by what law means for their business instead of discouraged and worried by it. And we find that rather amazing. A business bank account for the self-employed that calculates tax so you don't have to. We'd now like to share this super cool, simple, totally inspired way to do business banking. But, while being self-employed offers a whole host of benefits compared to being employed – after all, IPSE report that there are 4.8 million self-employed people in the UK, so it's clearly a popular way of working – there's one part of being self-employed that isn't as good as when you're an employee. Unless you're an accountant or have a penchant for complex sums, it's likely that you consider this a bit of a downside to being your own boss. As you use your account, it continuously calculates how much tax you're likely to owe – based both on the income you receive and the expenses you make. So there's no complicated calculator skills needed to get your tax paid without any expensive surprises. Not only that, but you'll get a notification each time you get paid – enabling you to keep track of who's paid you and who hasn't (oh, and if you're concerned about late payers, take a look at guide to calculating late-payment interest). Sole traders with either an iPhone or Android phone can get started within minutes – all you need to do is apply. For limited companies, you can pop your company on the waitlist and you'll be amongst the first to hear when you can join. You can do both of these things by selecting Sign Up on their homepage right here. It's a pocket bookkeeper for solopreneurs... swapping spreadsheets and paperwork for a smarter tech solution. You may have seen our Twitter post on the subject already – but it turns out that, according to Experian, freelancers' invoices are paid on average 18.5 days after their due date! 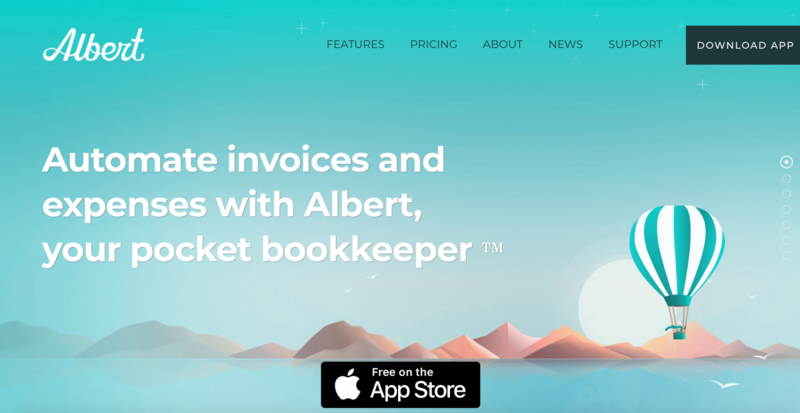 But not if you do your bookkeeping with Albert, it seems... they say that their customers' invoices are paid within just 6 days on average! And, depending on how you invoice, it can be a real faff – sometimes even making you late in sending the invoice out while you juggle other priorities in your business. But Albert sorts that too... in fact, it takes their customers just 18 seconds, on average, to send an invoice! 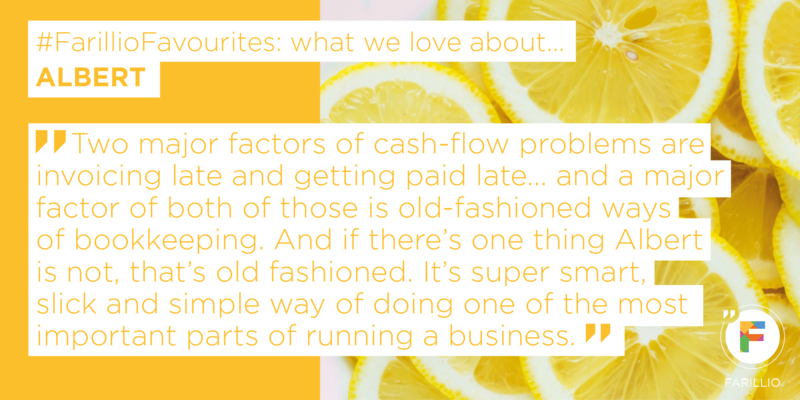 Two major factors of cash-flow problems are invoicing late and getting paid late... and a major factor of both of those is old-fashioned ways of bookkeeping. And if there's one thing Albert is not, that's old fashioned. It's super smart, slick and simple way of doing one of the most important parts of running a business. There are 2 types of pricing plan – Bookkeeper Starter and Bookkeeper Pro. The first is completely free and the latter is just a small amount extra...so it's a cost-effective tool whichever one you choose. 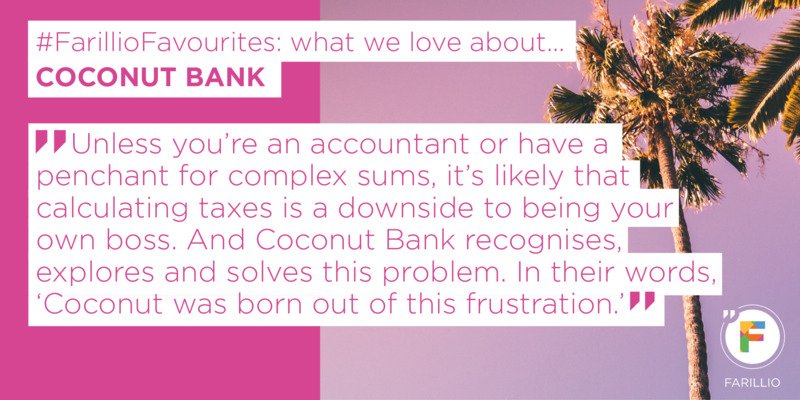 Take a look at the bookkeeping plans in more detail, and scroll down the page to find quotes from Albert's customers, sharing why they love the tool too! So there you have it! 7 of our most favourite tools to help you get off to the best start on your self-employed journey. Covering scenarios such as the best tools for marketing your small business and getting more sales, or the niftiest apps for organising your workload, stay tuned for more of our #FarillioFavourites!